It was a fine moment that joined the likes of Mr Cocker’s moment of genius at the 1996 awards, and Extreme Noise Terror accompanying The KLF in 1992, in the annals of indie infamy; waking the British public from its collective stupor for an all too brief instant. 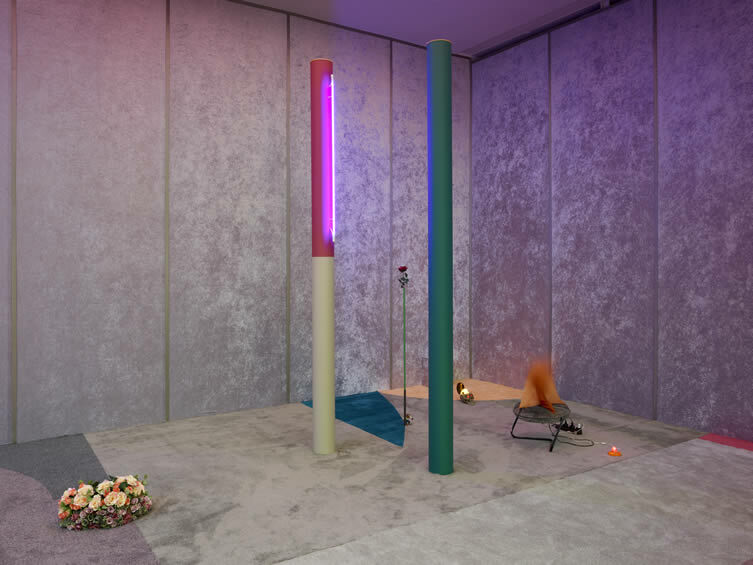 You wouldn’t forgive American artist Alex Da Corte if indie’s infiltration of Britain’s top music awards had gone entirely unnoticed, but his latest exhibition — named after the Glasgow band’s Slow Graffiti — has jolting collective consciousness written all over it. 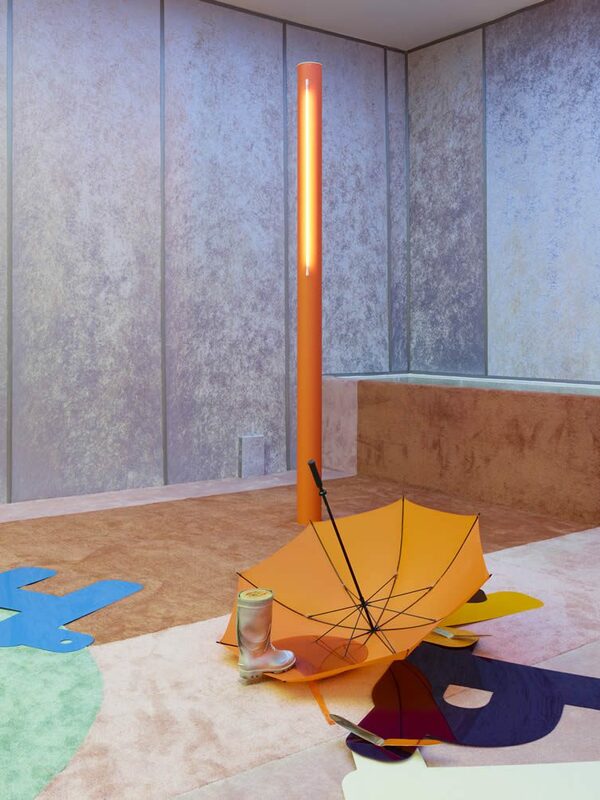 In an immersive candy-coloured, neon-lit installation that spans 6,500 sq ft of the iconic Vienna Secession, Da Corte continues his studies into our complex human make-up; our cultural and psychological traits, our 21st century quest for perfection through the lens of a smartphone. ‘So how about it? Show me please how I will look in twenty years, and let me please interpret history in every line and scar that’s painted there in front of me’; Belle and Sebastian’s 1998 song echoing Oscar Wilde’s cautionary tale of superficiality, The Picture of Dorian Gray. 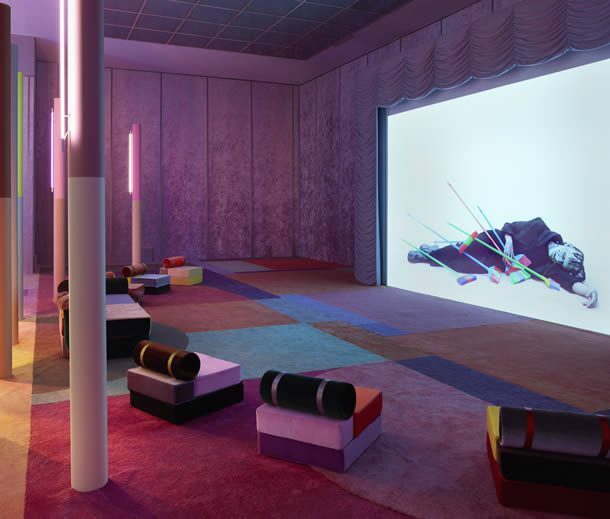 A riot of ‘perfect’ pop culture references, Da Corte’s installation sees a video screened every 20 minutes in a seating area — a shot-for-shot remake of Jørgen Leth’s 1967 short The Perfect Human (1967), featuring the artist masked as Boris Karloff and Frankenstein’s monster set to a score by Devonté Hynes; lending an unease to the artist’s disjointed wasteland of Instagrammable aesthetic. 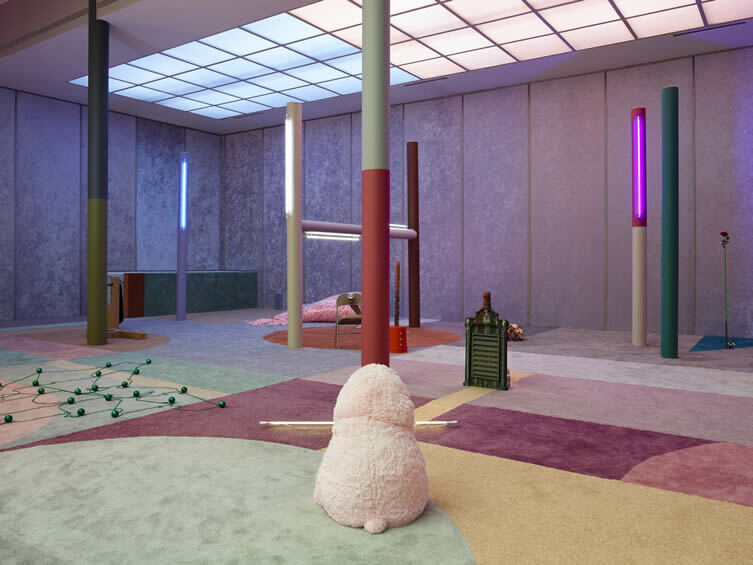 The contemporary desire for perfection … we’ve created a monster. 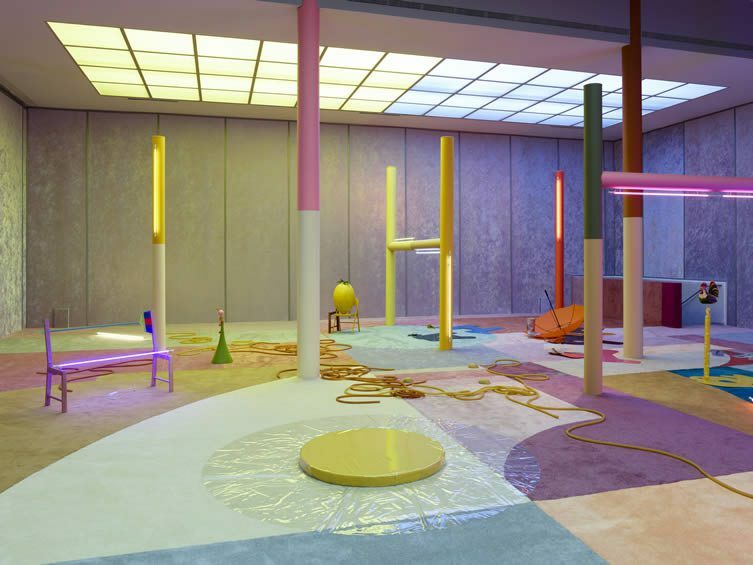 Alex Da Corte’s Slow Graffiti continues at Vienna Secession until 3 September. 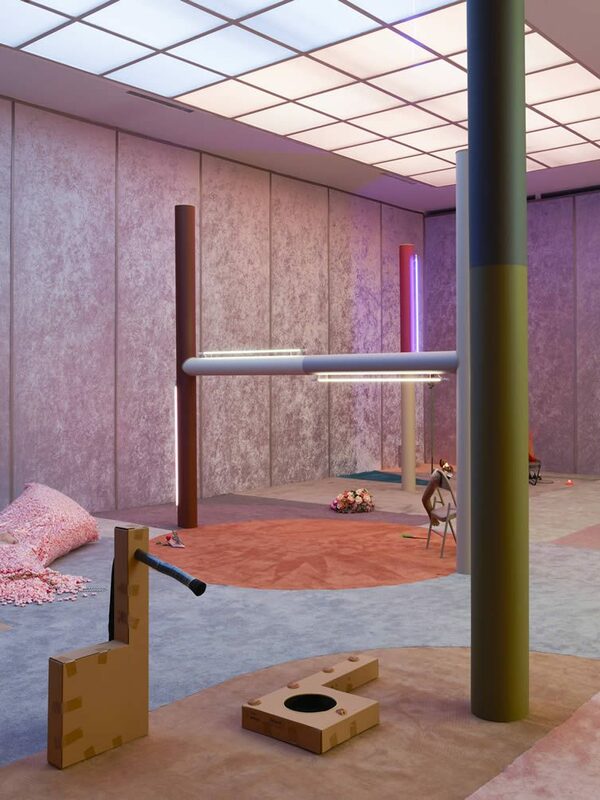 Alex Da Corte, Slow Graffiti, Installation Views, Secession 2017.